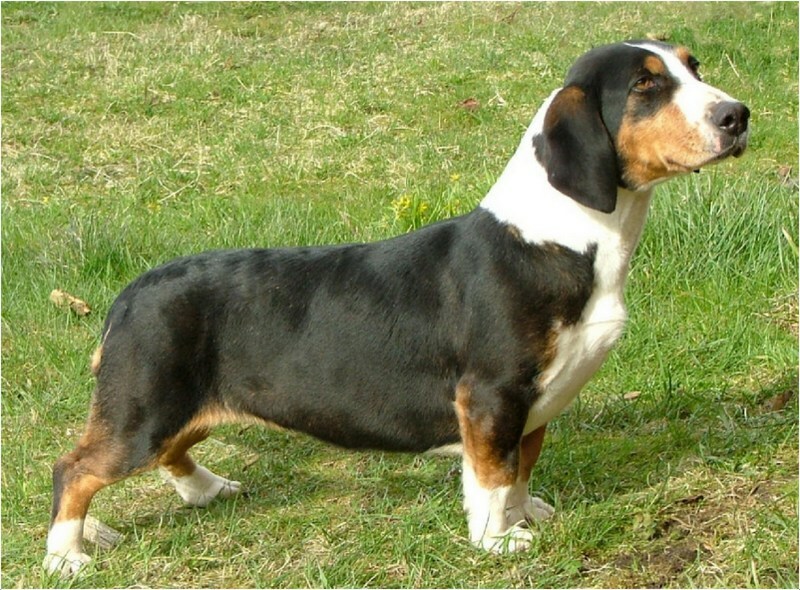 The Drever dog is a small-sized scent hound originated in Sweden. It was developed using a German hound named Westphalian Dachsbracke which was used for tracking deer. The name Drever was given to the dog by the newspaper contest held in 1947. 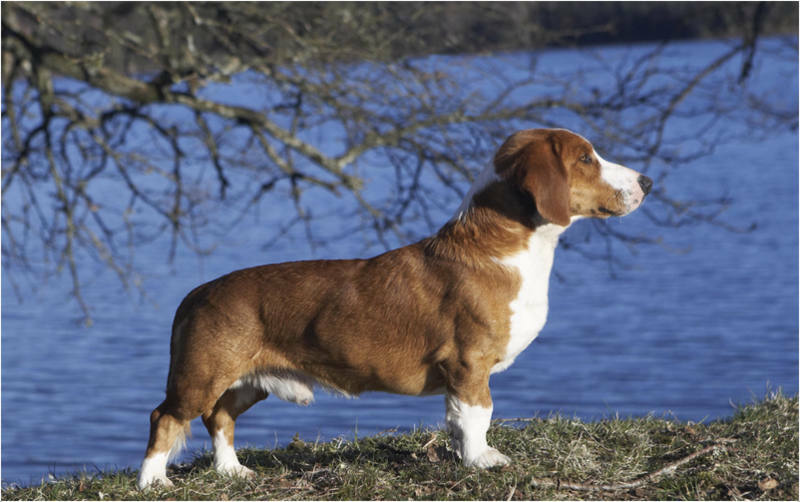 The other names for this dog are Swedish Dachsbracke, Swedish Drever, Svensk Drever and Dachsbracke. The temperament of the dog is alert, energetic, friendly, even tempered and self-possessed. This dog is not aggressive or shy. This dog needs some time to make other cats as friends. It takes short time to become friends with other dogs. 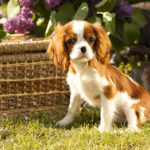 In the small age, this dog can be trained easily and it becomes obedient towards its owners with a short time. The Drever dog is not hypoallergenic. 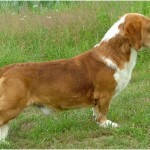 The price of the Drever dog is about $300 to $600. It is used for the tracking and hunting deer and also for other games. This dog is rarely available outside Sweden. 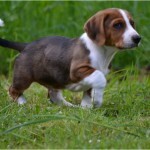 The Drever is a small sized dog with long body and short straight legs just like Westphalian Dachsbracke. The ears of the dog seem hanging and it has a long tail which is curved downwards. 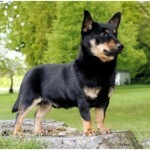 It has a thick coat and in general this dog can be seen in any color like fawn, black etc., with white markings. The chest of the dog is oval in shape. 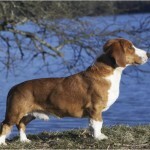 The height of the Drever dog is about 11–16 inches (28–40 cm) whereas it weighs about 32–34 lb (14–16 kg). The Drever dog is alert, friendly and calm. This dog is very energetic and it was used to hunt the fox and red deer. 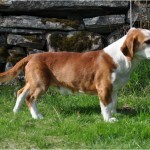 In few countries, it is popular as hunting hound and is very rarely used as pet. It has an excellent nose and has good smelling ability. It is said to be the best tracker due to its smelling capabilities and is less used as a pet dog in the home. While in tracking and hunting, the Drever will be very tenacious. Health issues of this dog are not specified but in general this breed of dogs is healthy and fit and doesn’t show any health disorders. 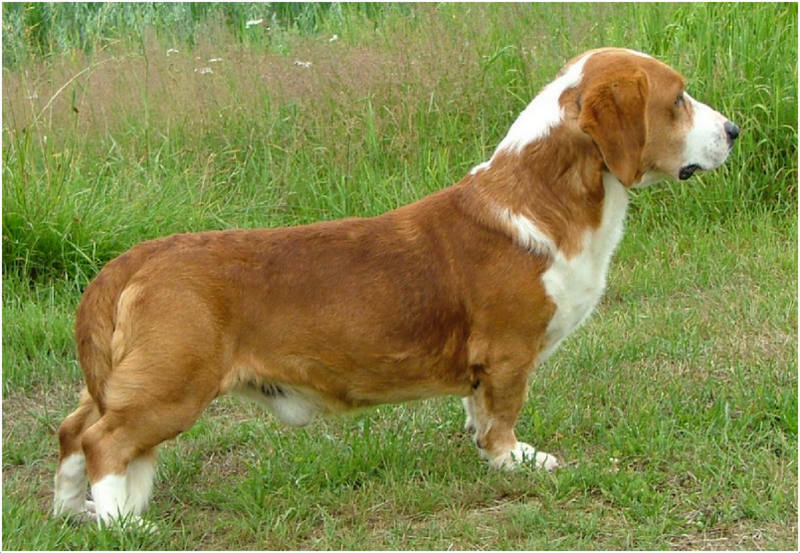 The common health issues observed in this dog are back pain, ear infections, slipped discs, entropion and obesity. The owners should always monitor the health condition of the dog and should always keep it energetic and fit. 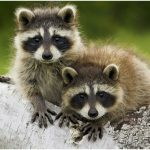 It is highly advisable to consult the vet in case of any unusual symptoms and take the required precautions as needed. 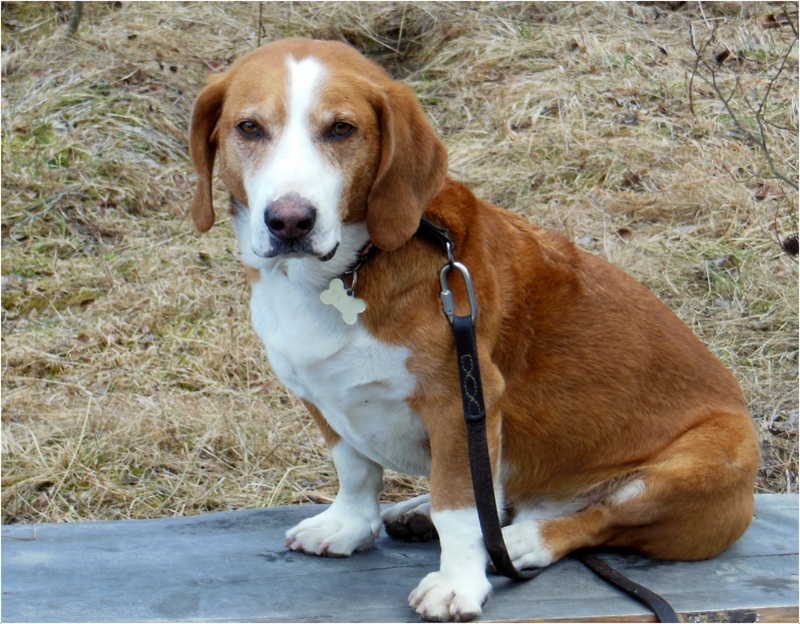 The Drever dog needs a high-quality food to keep it healthy and energetic. Sometimes the dog may look for heavy food but the owners should always control the food of the dog and should follow the food schedule to avoid over feeding and obesity problems. It is suitable for the apartment living and active indoors. A house with small to medium-sized fenced yard is well suitable for the dog as it likes to run in the yard. But make sure the dog is under your supervision and do not let it go outside. The Drever dog is very active and seems energetic all the time. It needs daily walks and regular exercise as a pet. When the dog is used for tracking or hunting, the exercise will be met on the tracks and there is no need of special exercise. The dog plays well with children but supervision is always required whenever the dog is with younger children. 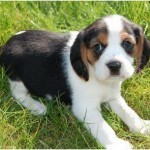 In general the Drever can give birth to 2 to 5 puppies. 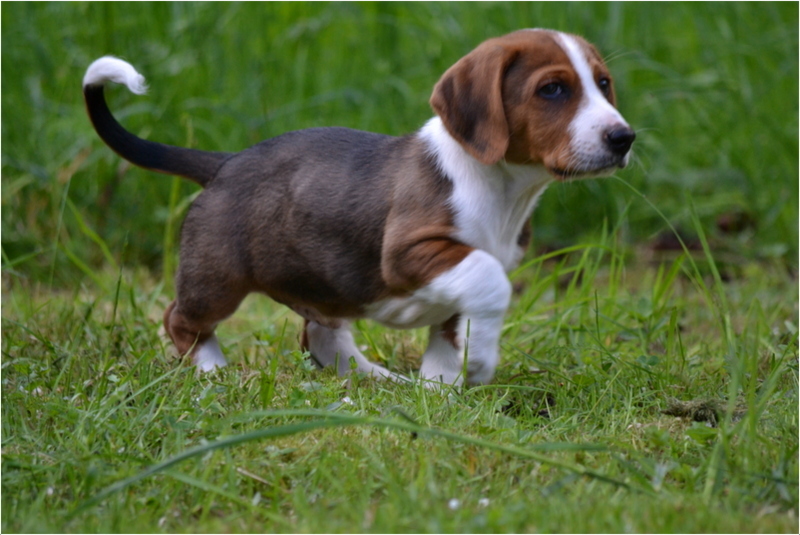 The smaller puppies should be raised with proper care until they attain the manageable age. The dogs become reproductive soon and will be energetic all the time. 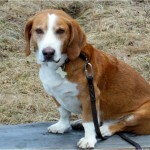 As Drever is a scent hound, it may follow the scents and unaware of danger from other big animals. Due to its small size, it may become prey to larger animals and so owners should always keep an eye on the dog whenever it is on for the daily walks. As this is a hunting dog, it can manage itself, but sometimes owner’s supervision is required must. The dog must attain a proper age in order to ready for the breeding. 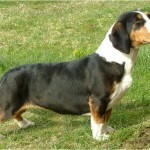 Breeding by professional is recommended for this dog and it is always advisable to take extra care for the dog during the time of pregnancy and raise the puppies well. 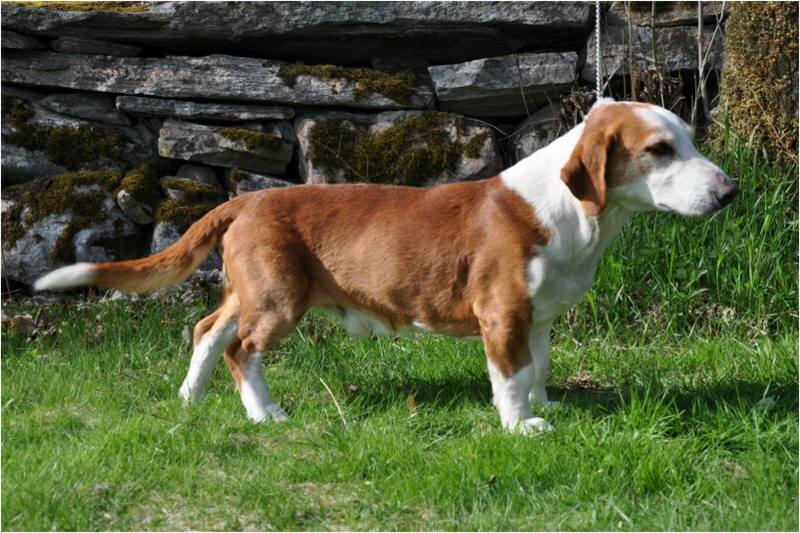 On an average, the Drever dog can have a lifespan of 12 to 14 years. Regular exercise, daily walks, healthy diet and regular health monitor will help the dog in increasing its lifespan. The Drever dog needs regular brushing and make it bathe whenever necessary. The grooming is easy and never need a professional. Check and clean the ears regularly to avoid ear infections. The Drever dog sheds a lot and few dogs shed more than other dogs of their size and appearance. Regular grooming will control the shedding to some extent but doesn’t prevent the shedding on the whole.